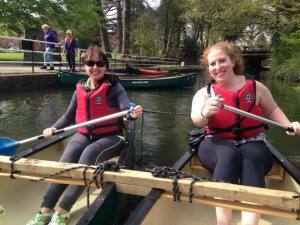 SUNDAY 10TH JUNE: Canoe hire from the Canoe Store in Coed Gwilym Park, Clydach SA6 5NS. First Hire 10.30am, Last hire 2.30pm. Rafts, Canoes and Kayaks for hire. Rafts £10.00, Open Canoes £7, Single kayaks £4 and double kayaks £5. Full terms and conditions under ‘Canoe Hire’ onthis website. TUESDAY 12TH JUNE: Work Party meets between 8.00 and 9.00am at Brownsters Cafe, High Street, Clydach. Work starts from the Coed Gwilym Park Canoe Store at 9.15. We have several strands to our day. Firstly, Michelle will be taking Kevin from the Canal and River Trust and Mikk from the Inland Waterway Association Waterway Recovery Group for a site visit to Ynysmeudwy Locks. The WRG will be holding a week’s Summer Camp there from August the 4th. We will also continue clearing the Canadian Pond Weed from the channel north of the Canoe Store. 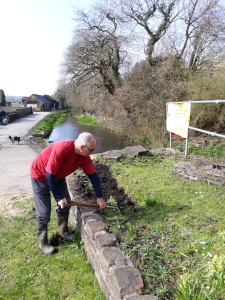 Thirdly, Colin Twells, the new manager of the Players Industrial Estate is very keen to help improve the look of the canal south of the Clydach Aqueduct, where it is not at its best and covered in blanket weed. We thank him for his interest and enthusiasm. Finally, at 11.30, our old friends from the Ramblers Group in Ammanford will be visiting the park for their annual paddle along the canal. We will be delighted to meet them once again. Previous postGo Canoeing Week in Pictures: 26th May to 3rd June Next postWork and Canoe Parties: 5th June.